Kenai Peninsula Borough Mayor Mike Navarre provides tireless support of public education in our borough and in the state. Mayor Navarre is a graduate from the Kenai Peninsula Borough School District and did not forget his roots. 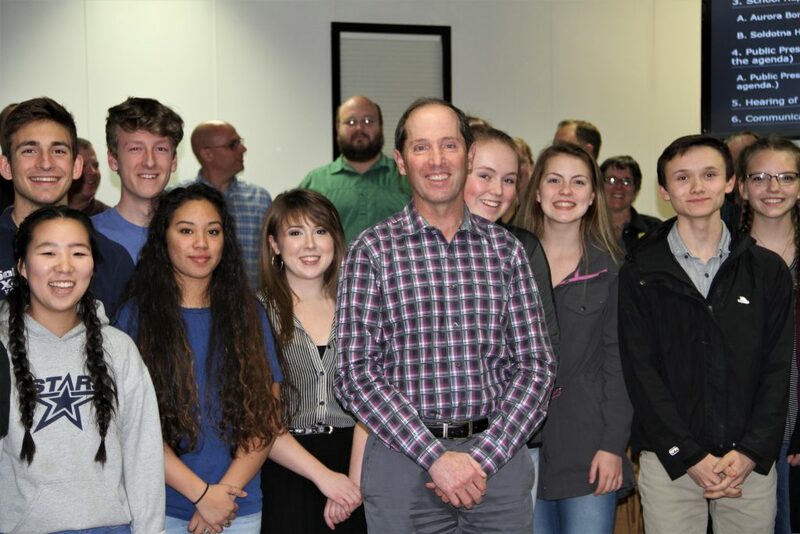 A successful businessman and public servant, through his personal business he supports KPBSD schools through donations of funds, products, and most importantly, time. His love of kids is genuine and while he is a Kenai Central High School graduate, he supports all of the schools in the district with equal zeal and pride! Mayor Navarre has consistently demonstrated his support for public education in his various public servant roles. He speaks to the accomplishments, while also asking the tough questions that hold our schools accountable to high standards. When the district has needed funding, he has recommended, supported, and followed through on providing additional funding. 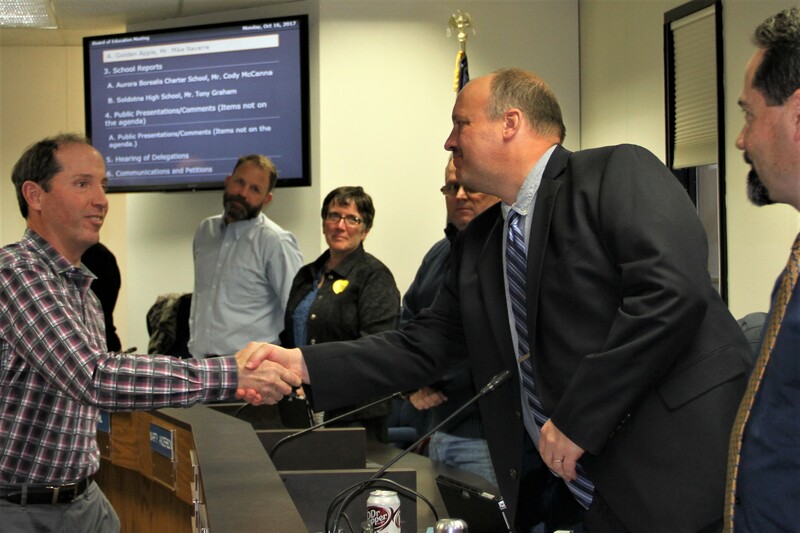 The Kenai Peninsula Borough School District Board of Education is proud to recognize Mr. Mike Navarre for his dedication to the students of the school district, past, present, and future. This entry was posted on October 16, 2017 at 6:50 pm. You can follow any responses to this entry through the RSS 2.0 feed. You can leave a response, or trackback from your own site.